HSSC Recruitment 2019 Notification HSSC Job Alert! : We have good news for those candidates, who are looking for a govt. job in Haryana. 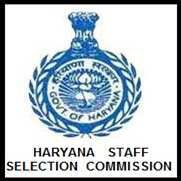 Haryana Staff selection Commission has issued a recruitment notification to fill the posts of TGT Sanskrit in Elementary Education in Haryana. Interested candidates can apply for the HSSC Recruitment 2019 TGT Sanskrit Teacher by using the online application link available on the official website www.hssc.gov.in. The online application can be filled up from 22 Feb 2019 to 25 March 2019. We have advised the candidates to apply online in advance without waiting for the last date. In this article, we will try to share complete information regarding the HSSC Trained Graduate Teacher (TGT) Sanskrit online form 2019. HSSC has invited online applications from the eligible candidates to fill the posts of TGT Sanskrit. Candidates fulfilling all eligibility conditions can apply for the HSSC TGT Sanskrit Teacher Jobs 2019 through the online mode. Candidates, who are interested to apply for this job must read the instructions carefully, before going to fill the online application form. B.A with at least 50% Marks in Sanskrit and 2 years diploma in Elementary Education. B.A with at least Marks 50% as well as in Sanskrit and 01 years bachelor of education. B.A with at least 45% Marks as well as 50% in Sanskrit and 01 year Bachelor in education (B.Ed). Senior Secondary Class with 50% Marks and 04 years bachelor of elementary education. Senior Secondary or equivalent with at least 50% and 04 years B.A, B.Ed. SC/BC: Rs. 35 for Male Candidates & Rs.18 for Female Candidates. Dear applicant, this is the best opportunity for those candidates who are interested in teaching jobs and searching for it from a long time. Therefore, read the instructions & procedures carefully before filling the application form.